As we gear up for the holiday travel season, many of us are busy making plans. 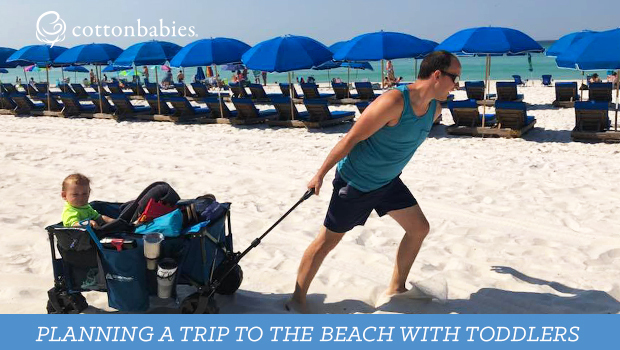 Whether you’re traveling near or far, there is a good chance you will be packing up the kids and heading to a relative’s house. If you have little ones, you probably need to do some extra planning and packing to make sure your kiddos have a place to sleep, a place to eat, and something to play with. If your holiday travel plans include overnight adventures, here are a few items that may help make things run a bit more smoothly. A PeaPod is a great travel bed option that folds up to a nice, compact size. The Weekender Wet Bag isn’t just for storing dirty diapers or wet clothes. It’s great for organizing suitcases by family member. Plus, you can pack the Hangout Wet Bag for dirty clothes since it hangs nicely on a doorknob. Sleeping in an unfamiliar place can be tricky. 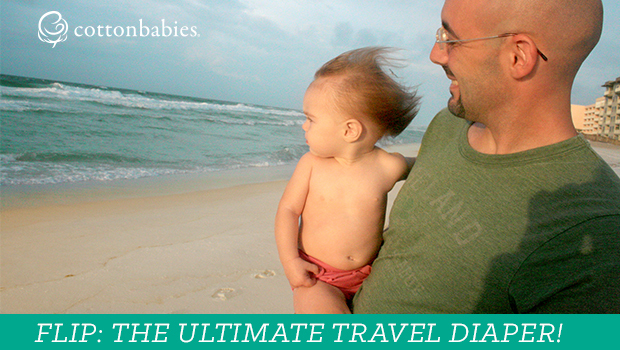 An older toddler or young child may benefit from taking a travel night light. Contain the mess with an EZPZ mat. 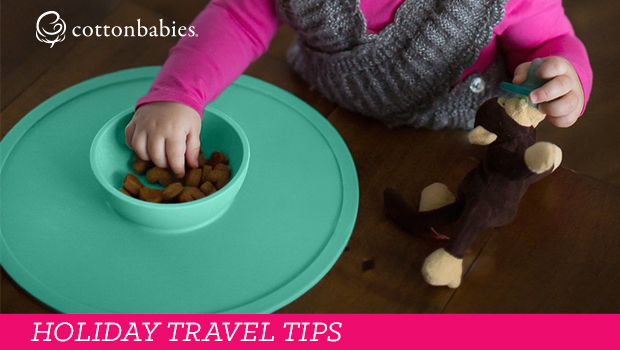 Your little one won’t be able to flip it over and it will keep their crumbs under control. Don’t let them ruin their fancy clothes by covering them in cranberry sauce! Use an adorable bib to protect their outfit. 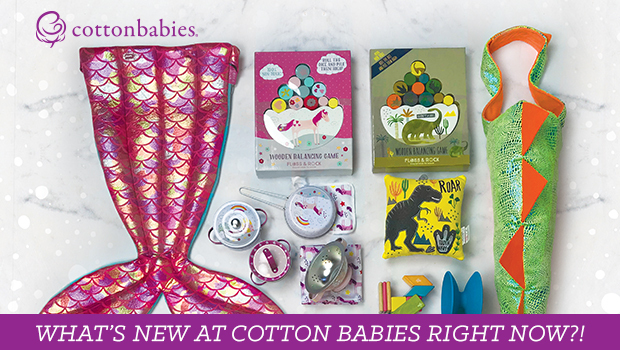 Plus, these bandana bibs have an absorbent side that is perfect for drooling babes. Don’t forget baby-sized flatware! Check out this adorable set by Kleynimals. It’s made in the USA of 100% food-grade stainless steel. Water Wow is an amazing activity your kids will love. Use the water-filled marker to bring beautiful colors to life. Once it dries, they can start all over! Another great toy for the car, restaurant, or really anywhere is Tegu. These amazing wooden blocks have magnets inside. You can click them together to build. The options are endless! What else are you planning to pack for your holiday travel this year?